If all goes well, 2.0 will enter the Rs 100 crore club today. There’s no stopping movie 2.0 at the box office and it looks set to enter the Rs 100 crore club today. It has been doing great business from the first day of its release, that too on a weekday and at the weekend it doubled its earnings. On November 29, when it released, the movie earned about Rs 20.25 crore at the Indian box office and by Sunday it had collected a total net of Rs 97.25 crore. The movie, which has Rajinikanth and Akshay Kumar in lead roles, saw a small dip on Friday with it being a weekday but it had an impressive weekend. On Saturday, day 3 of its release, it showed a 23.46 per cent growth, earning around Rs 25 crore at the box office and on Sunday, day 4, it collected around Rs 34 crore. Film trade analyst, Taran Adarsh, who tweeted out the numbers, said the real test for 2.0 will begin from Monday. TERRIFIC GROWTH on Sat and Sun speaks for itself. If all goes well, the movie is expected to cross the Rs 100 crore mark today and join other movies like Padmaavat, Baaghi2, Raazi, Race3 and Badhaai Ho, among others in the club. 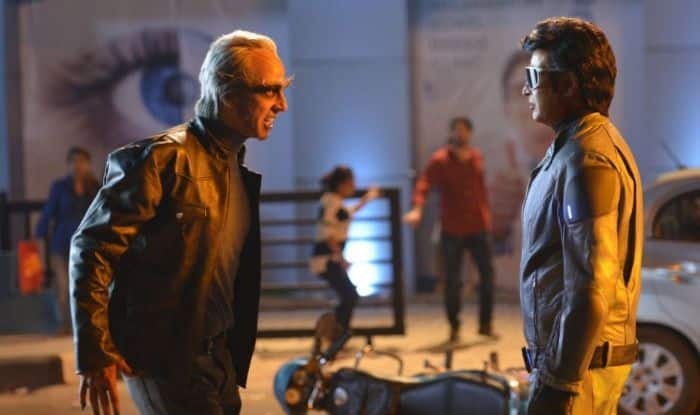 The movie, which was directed by S. Shankar and co-written with B. Jeyamohan, is a sequel to 2010 movie Enthiran, which had Rajinikanth and Aishwarya Rai Bachchan in the lead. Produced on an estimated budget of Rs 543 crore, 2.0 is the most expensive Indian film to date. Upon release, it got positive reviews with critics particularly being taken with the film’s visual effects.